Success logs template is a string that will be written to the log file on every successful check. 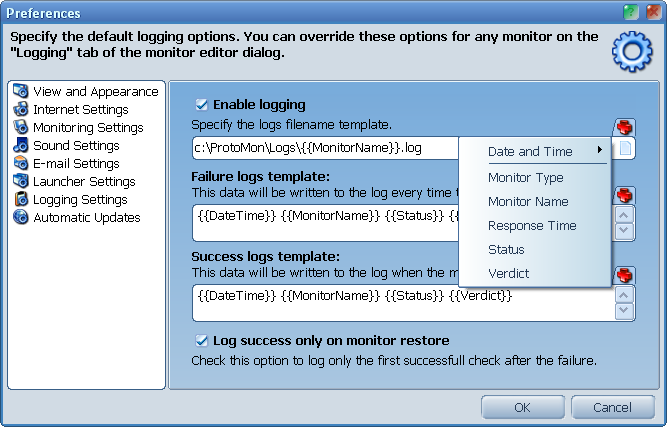 If you wish ProtoMon to log only the first successful check after each failure, additionally select the Log success only on monitor restore option. You can also set a specific logging options for every particular monitor. Double click the monitor to open the monitor editor dialog. Switch to the logging tab and enter the custom setting there. 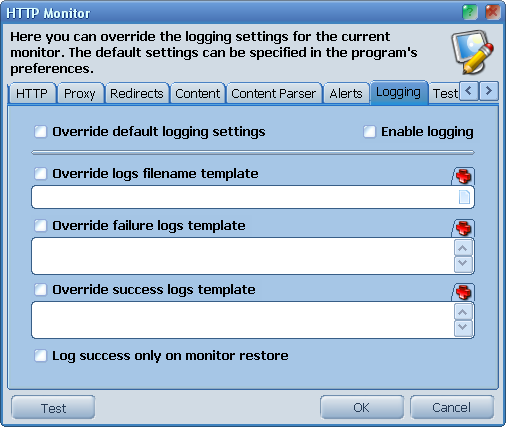 Check the Override default logging settings option, then specify whether you wish to enable logging for this monitor or not. Other fields are the same as in the global settings dialog.